CHAPEL HILL, North Carolina (WTVD) -- Luke Maye had a career-high 26 points to go with 10 rebounds in No. 9 North Carolina's season-opening 86-69 win against Northern Iowa on Friday night. Freshman Garrison Brooks added 14 points for the reigning national champions, who opened the season without Final Four Most Outstanding Player Joel Berry II and Pittsburgh graduate transfer Cameron Johnson due to injuries. Berry is recovering from a broken bone in his right hand that was expected to keep him out about four weeks, though he dressed out and warmed up with the team during shootaround. Johnson has a sprained neck. North Carolina's Kenny Williams drives to the basket against Northern Iowa on Friday. Regardless, the Tar Heels shot 50 percent and blew open a 14-point halftime lead to as many as 31 points down the stretch. 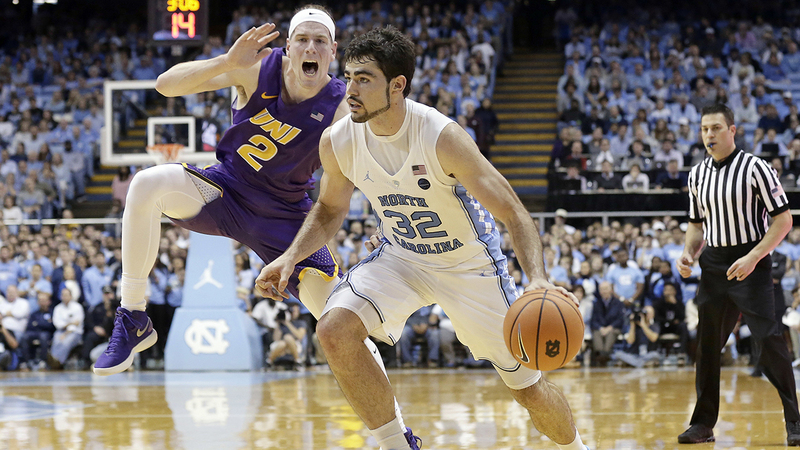 Spencer Haldeman had 15 points to lead Northern Iowa, which had upset the top-ranked Tar Heels at home in November 2015. But the Panthers never came close to duplicating that magic. Northern Iowa: The Panthers are picked to finish second in the Missouri Valley Conference, but this game just got away from them. Northern Iowa relied on the 3-point shot and made 13 of 28, though it got nothing inside the arc and only got to the foul line nine times. 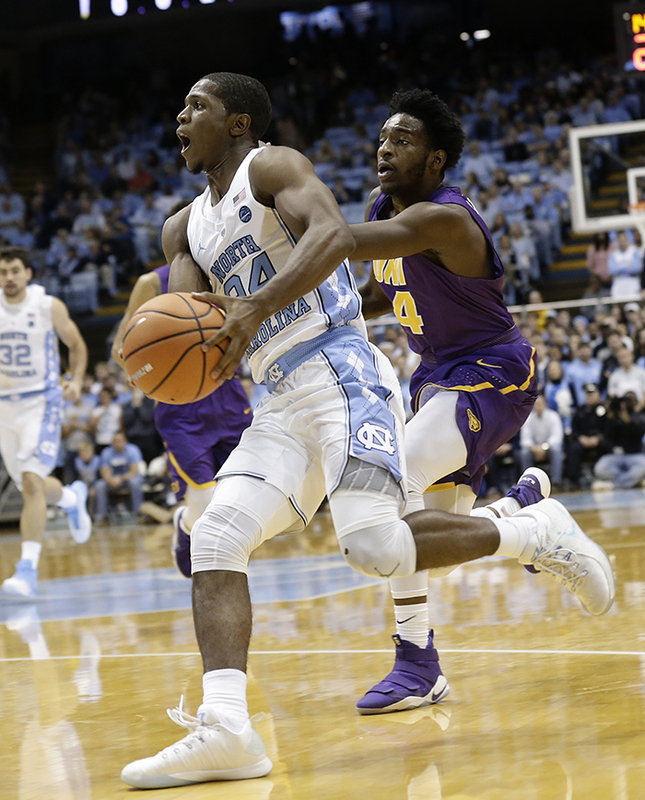 UNC: The Tar Heels were down two likely starters for this one, so it was an encouraging start to earn a drama-free win with Maye shining in his first game in a leading role after his time as a reserve. Most notably, freshman Jalek Felton started at the point with Berry out, while Seventh Woods (nine points) had some good moments. Brooks also started alongside Maye up front as the Tar Heels look for reliable production on the interior from one of their young big men. Northern Iowa: The Panthers host Alcorn State on Monday. UNC: The Tar Heels host Bucknell on Wednesday.